It's not quite a full album recommendation, yet, but it sure looks like it's going to be that way. NYC came knocking again, and again it is us listeners who are the benefactors. 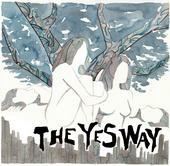 "The Yes Way" is a rock outfit on the up & up. With an album release coming later in the fall, there is no better time to start listening. The music is solid, there is nothing special or fancy, just dudes rocking out together. The vocals are strong, and the songs seem to be the perfect length. Mets is the single everyone should be looking out for as "The Yes Way" take to the road this autumn. With the video already shot and planned for circulation, this catchy tune should be everywhere in no time. It gives a good feel for what the band is all about, and certainly leaves you wanting to hear more. The band have themselves a great lead singer in Aaron Mendelsohn. He has a great voice, reminding me of other singers I love, but still sounding unique. As of now, "The Yes Way" have the month of August planned for touring, and more dates will be released with the release of the album. Such an energetic brand of music will lend itself nicely to live venues, and surely "The Yes Way" will have the nation singing along in no time. When the album is ready, make sure to check back with Island SoapBox, as we will make sure to give the whole thing a spin! In the meanwhile, you can listen to Mets, and two other singles by the band here. Check out the bands main website (including a free download of their 2009 EP Who's better than you?) here.